…at least to some degree. Well, there are human conditions that distort the perception of time but it’s highly unlikely that you’re one of them. So you are a performance tester too. The biggest annoyance for a performance tester is to get code into a performance environment that CLEARLY has issues that can be detected by the simplest means available (well.. second most annoying, as finding obvious functional defects is even worse). 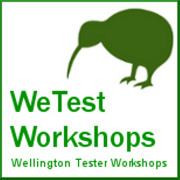 This is where you as a (whatever kind of) tester come in. You know the times you drum your fingers on the desk waiting for that spinning wheel in the browser to come back? The batch job where the execution is exactly “making one cup of coffee” long? The usual response from you would be to shrug and say something like “This is just the environment. It’s system test afterall.” or “Let performance testing take care of it”. Now, I can totally relate to such sentiments! We’re all busy and have deadlines to meet. I’d make the case though that you’d actually help the project as a whole and thereby yourself too by not ignoring such issues. My first formal presentation was tonight. It was a 2 hour talk with a discussion on the topic of ‘Demise of Test Scripts; Rise of Test Ideas’. It was at Atlasssian headquarters, Sydney. Here is my experience report. Design — bad design, there’s just no excuse for it. It’s letting stuff happen without thinking about it. Every object should be about something, John. It should imagine a user. It should cast that user in a story starring the user and the object. Good design … is about supplying intent. It’s as though intent is an essential component for humanity. It’s what we’re supposed to do somehow.We’re supposed to act with intent. We’re supposed to do things by design. Intent is a marker for civilization. An object devoid of intent –it’s random, it’s imitative, it repels us. It’s like a piece of junk mail to be thrown away. This is what we must demand of our lives, of our objects, of our things, of our circumstances: living with intent. For weeks now there is a blog post of mine unpublished. It is all around the small things that count in testing. But I wasn’t really happy with it. Something was missing or I wasn’t getting the point I was trying to make. Today it dawned on me what was missing. It was the INTENT John talks about above.